From BusinessWeek: "'Energy policy is one of the big failures of the European Union in the last fifty years, particularly bearing in mind that we started out as a coal and steel community. But our growing dependence on Russia is going to increase the pressure for a common energy policy, to improve the internal grids and have shared arrangements within the European Union,' Mr. Bruton said . . .
His remarks were echoed by Nato's head of the policy planning division, Jamie Shea, who said that it was "not good for Europe to have a situation in the middle of the winter where the eastern half is freezing at minus 25 degrees, while the western half is sunbathing at 25 degrees plus," especially since it was just a matter of linking up the grid and reversing flows in pipelines." Strong critique of the hardening division of labor within NATO. From New York Times: "Another official, from Continental Europe, requesting anonymity, said he considered the circumstances ones that brush the quasi-historical: in his view, the United States has de facto abandoned the idea of asking Europe to go to war while the administration re-Americanizes the conflict in Afghanistan . . . According to Mr. Lellouche, these countries’ caveats — like fliers’ being restricted from medical evacuation missions after dark, or trainers’ being barred from accompanying their Afghan trainees into combat zones — has meant a “striking” division of labor between the soldiers who are “bureaucrats’ forbidden to leave their bases and bunkers” and the “combatants” (think of the British, Canadians, Dutch, Danes and French among the non-Americans) . . .
From Jane's: "Barth Eide said that the High North should be addressed by the next reorganisation of the NATO command structure if the joint commands in Brunssum and Naples regain the regional responsibilities lost during previous restructurings, which also closed down Allied Forces Northern Europe in Norway." From Turkish Weekly: "Turkey will participate in Loyal Arrow-2009 military exercise which will take place in Sweden between June 4-17. Air Forces Command stated on Monday that air forces of Turkey, the U.S., Germany, Finland, Britain, Italy, Sweden, Norway, Poland, Portugal and NATO would take part in the exercise that would be performed at Sweden's Kallax Airbase." Leader of major Pakistani political party calls for anti-NATO alliance during meeting with Iranian official. 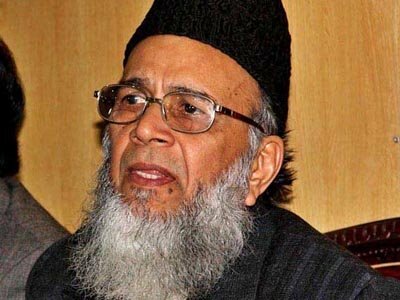 From South Asian News Agency: "Jamaat-e-Islami Amir Syed Munawar Hassan has said that Pakistan, Iran, Afghanistan and China should from a bloc against the US and NATO forces. 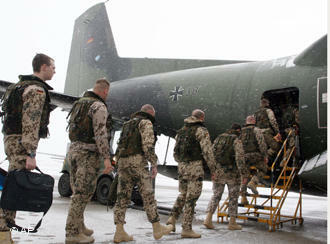 Continued deployments of NATO air forces strongly demonstrate alliance commitment to Baltic allies. Yet deployments also reveal how much military resources are strained to fulfill political objectives. The following link provides additional background on the current Czech deployment in Lithuania. Jeffrey Gedmin visits Minsk and presents strong reasons for the US and the EU to continue pressure on the Belarus regime. From Pravda: "The Collective Security Treaty Organization (CSTO) follows the instructions from President Dmitry Medvedev, who ordered to increase the military constituent and develop the coalition force development. A strong military group, which may appear in Central Asia in the nearest future, will make the CSTO become an analogue of NATO. The following post-Soviet countries are included in the treaty: Armenia, Belarus, Kazakhstan, Kyrgyzstan, Russia, Tajikistan and Uzbekistan." From TIME: "In April 2008, a source told Russia's Kommersant newspaper how Putin described Ukraine to George Bush at a NATO meeting in Bucharest: 'You don't understand, George, that Ukraine is not even a state. What is Ukraine? Part of its territories is Eastern Europe, but the greater part is a gift from us.'"